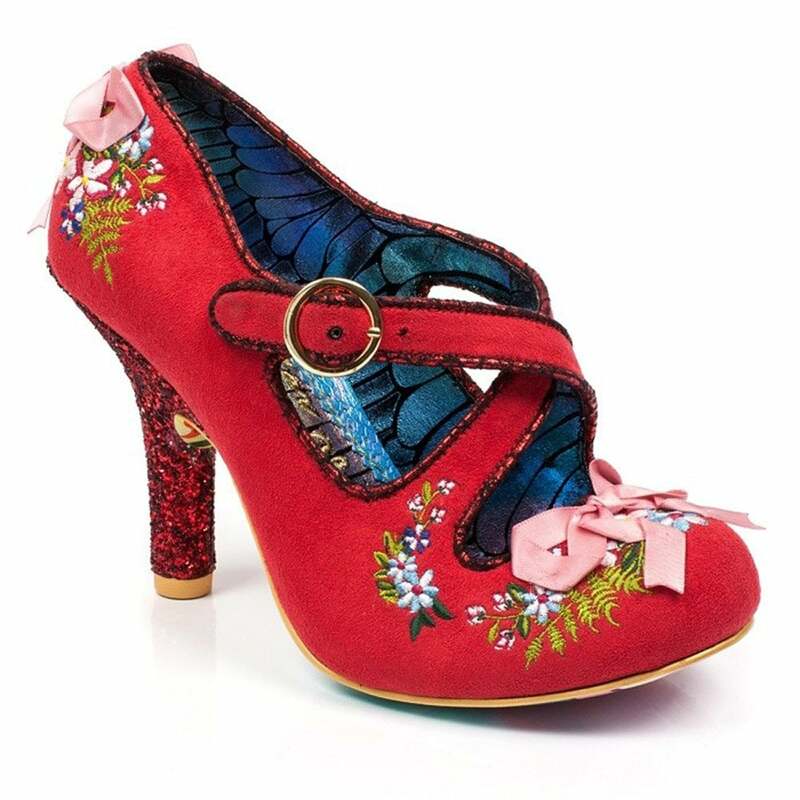 Get swept up in your own fairytale in these pretty embroidered high heels from Irregular Choice. A twisted strap is the defining detail alongside the gorgeous floral embroidery, vintage style bows and a glittering heel. Inside, the Beryll Blossom womens court shoe is lined with a rainbow design. The Irregular Choice iconic branding is embroidered in gold on an iridescent padded insole. A shapely 9.5cm high heel completes this fabulous court shoe perfectly. Even the sole of the shoe is beautifully decorated in a carousel design for autumn winter 2018.